Ruslyn Holdings Pty Ltd is an Australia based manufacturer of lightweight rugged hand held reeling devices supplied worldwide to defence, law enforcement, emergency services, industry and mining. Currently 2 reels are supplied to the world. The Ruslyn Cordwheel® and the Ruslyn Pack Reel®. The Cordwheel has been in military and industrial service since 2005 and the Pack Reel since 2012. The Cordwheel and Pack Reel are NATO Codified. Both reels are also available in colours to suit particular users. View colours page. Ruslyn Holdings has distributors in Australia, New Zealand, USA, Canada, UK, Germany, France, Switzerland, Sweden, Estonia, South Africa and Israel. Distributor details can be found on the distributors page. The Ruslyn Cordwheel® NATO Stock Number (NSN) 8130/661533558 is a high quality, heavy duty, lightweight and ergonomic hand held cord reel in use by defence. 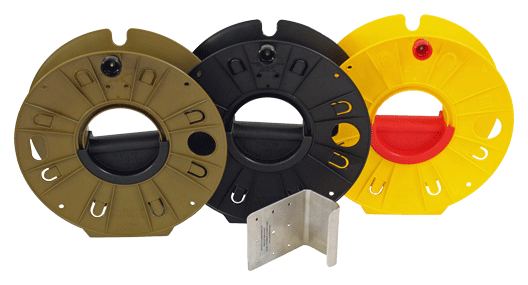 The Ruslyn Cordwheel® is used within four complete equipment schedules across Army, Navy and Air Force as a cable reel, rope reel, hose reel, tape reel and wire reel. It is used for deployment, retrieval and storage of many coil-able products. The Ruslyn Cordwheel® is also used by emergency services, homeland security, law enforcement, industry and mining for handling cables, rope, hose, tape and wire. The Cordwheel handles detonator cord, firing cable, para cord, BA hose, power supply cables, extension cords, earth leakage cables, barrier tape, NDT tape, rope, hose and wire. 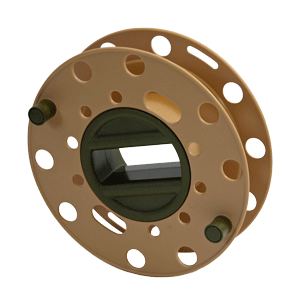 The Ruslyn Pack Reel® NATO Stock Number (NSN) 8130/661596431 is designed for military use as a hand held, small, rugged and lightweight mini reel that can be carried during operations. 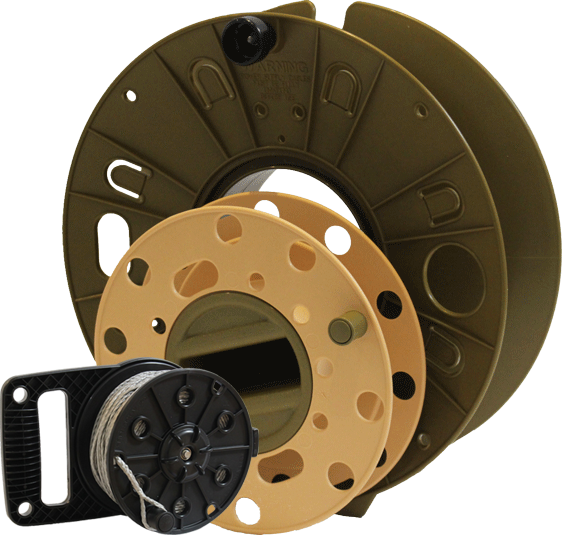 The Ruslyn Pack Reel® is designed to handle hook & line, detonator cord, firing cable, signals cable, aerial cable, para cord, rope, hose and wire. 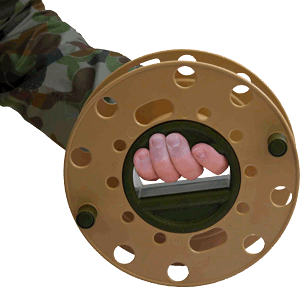 This small rugged and lightweight hand held reel it is specifically designed for the dismounted soldier. It is used by combat engineers, search, EOD, CIED, special operations, sigs and clearance divers. 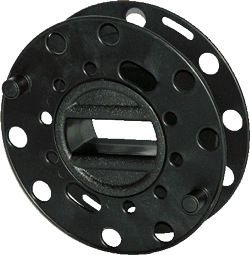 The Ruslyn Pack Reel® is also used by emergency services, homeland security, law enforcement, industry and mining. The centre hand grip is designed for use with a gloved hand in sub zero temperatures. The Ruslyn Pack Reel® has been tried and proven on battlefields around the world.